All dive boats in United States territories like the US Virgin Islands are inspected by the US Coast Guard, and all boat captains are USCG certified. 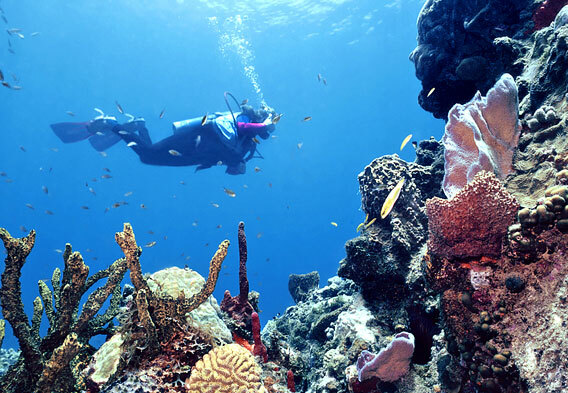 The US Virgin Islands also offer many opportunities for divers with physical disabilities. This part of the Caribbean is home to more than 500 species of fish and more than 40 types of coral. An underwater virtual tour of Dominica greatly increases what you can see on a visit to this small island, which covers only 290 square miles. Christopher Columbus spotted the island on a Sunday in 1493, and named it for that day of the week--“dominica” in Latin. Its capital city is Roseau, the oldest settlement on the island. As this is a former French colony, the French influence is still prevalent in the capital and elsewhere on the island. France turned the island over to the British in 1763. It became an official British colony in 1806 and became independent in 1978. Unique dive sites include Champagne Hot Springs, creating champagne-like bubbles; Coral Gardens, with wonderful soft and hard coral and many hawksbill turtles; and L’Abym (Abyss) with a two-mile sheer wall. There are close to 100 dive sites in the sea around St. Thomas, including numerous wrecks of all descriptions. Some were intentionally scuttled to provide new habitat for coral and fish, and others fell victim to storms, squalls, and other dangers of the Caribbean. One of the best dives in all of the Virgin Islands is the W.I.T. Shoal. 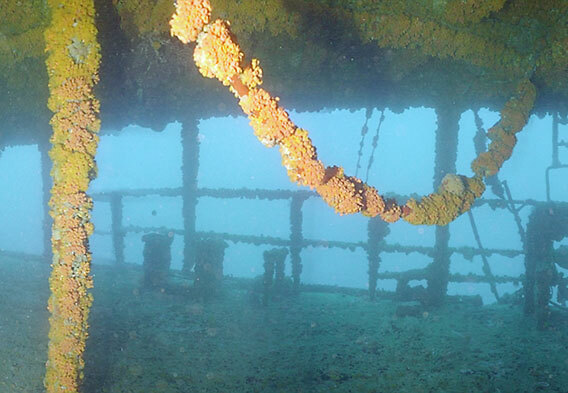 This freighter is more than 400 feet long and sits upright in beautifully clear waters that are 90 feet deep. Because the water is so crystal clear, light penetrates through the wreck making for fabulous underwater photography. Other great diving wrecks include the East Wind corporate yacht, barges, a hospital ship, buoy tender, and more. All of these provide habitat for colorful tropical fish, lobsters, sharks, sea turtles, rays, eels, sponges, and an array of coral. In addition to boasting some of the best scuba diving and snorkeling in the world, Dominica also enjoys a reputation as one of the best islands in the Caribbean for whale watching and dolphin spotting. During the season, these marine mammals are sights you will routinely see in the course of diving. If you’re not a diver, you can spot whales from many headlands, and there are whale watching cruises available. Sperm whales mate and calve in these waters. Other whales that are prevalent include pilot, pygmy, and false killer. There are also spinner, bottlenose, and spotted dolphins. Other nearby islands also offer excellent diving opportunities. Both novices and expert divers will find exceptional sites to explore in St Kitts, including wrecks, coral reefs, caves, and steep sea walls. One of the most spectacular dive sites here is Black Coral Reef, named for the forest of black coral trees jutting out from the wall. This is a protected marine area located off Sandy Point, gateway to the UNESCO World Heritage Site of Brimstone Hill. In these waters no anchors are allowed to be dropped. Diving is possible from two mooring sites. Sites that are excellent for beginning divers include Friars Bay Reef and Brimstone Shallows. Coconut Tree Reef is excellent both for beginners and experienced divers. A couple of excellent wrecks include the freighter River Taw (rated one of the 20 best in the Caribbean) and the M.V. Talata. St Croix is one of the few places in the US Virgin Islands where it is possible to dive a wreck, a reef, a wall, and a pier in a single day. St. Croix is known as the “Diverse Virgin” because of the rich diversity of its dive sites. 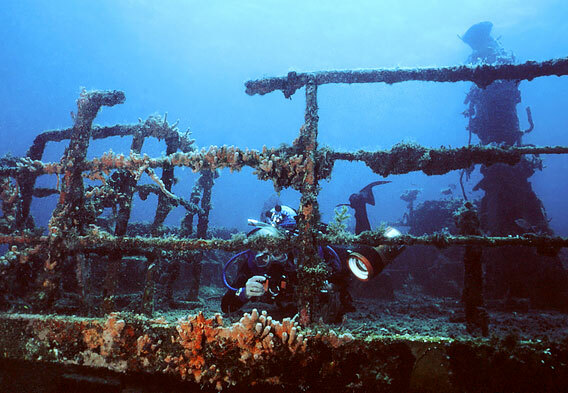 The Butler Bay Wrecks include two separate dive sites with several wrecks scattered between the two. There is even superb diving right off Frederiksted Pier. Water temperatures average above 80 degrees Fahrenheit and visibility averages from 60 to 100 feet.